Under the Hudson Valley sun you may not find local trattorias nor olive groves, no Vespas darting down narrow alley ways, but you will find grappa. What was once the domain of the Ceasars and imbibed on the banks of the Arno, the Po or the Tiber, are now made from vineyards lining the shores of the mighty Hudson River. La Dolce Vita (the good life celebrated in Fellini's highly acclaimed masterpiece) lives - on the Hudson! According to Jason and Jeremy, "It was our belief that the fruits grown from the fertile Hudson Valley could be made into the highest quality fruit brandies and liqueurs. In 2001, we applied for and received a grant to develop New York’s first fruit micro-distillery. Using the same principle that had brought success to the wine and cider, we created a line of Fruit Brandies and Liqueurs, American Fruits. Starting with the finest natural ingredients is the only way to achieve great quality in the finished products. It is this guiding principle that results in products that are reminiscent of the fruits from which they are made. American Fruits brandies and liqueurs are made to capture and preserve the essence of the fruit at its peak ripeness." "As with marc in France and aguardiente in Spain, grappa is distilled from pomace, the discarded skins, seeds and stems of wine production. Usually colourless, it can be as rustic as a cow shed, where, coincidentally, much of the traditional stuff was made, out of sight of tax collectors. I tasted my share of the raw variety in my youth, sourced in gallon jugs by my father from basement operations..." wrote Beppi Crosariol in the Globe and Mail of Canada. "Country-style grappa can have a jet-fuel aroma, barnyard flavor and Doberman’s bite, agreeable qualities if you’re trying to ward off the damp chill of a northern Italian winter. Even good commercial examples are not exactly demure." Grappa is an alcoholic beverage, a fragrant, grape-based pomace brandy of Italian origin that contains 35%–60% alcohol by volume (70 to 120 US proof). It is similar to Cypriot Zivania, Persian Aragh, Spanish orujo, French marc, Georgian chacha, Portuguese bagaceira, Greek tsipouro, Hungarian Törkölypálinka, Bulgarian ракия (rakia), Serbo-Croatian (Bosnian, Croatian, Serbian, Montenegrin) Loza or Rakija/Ракија (in Istria: rakija and grappa), Romanian tescovină, and Macedonian ракија, Albanian Rakia/Rakija according to Wikipedia. Grappa is made by distilling the skins, pulp, seeds, and stems (i.e., the pomace) left over from winemaking after pressing the grapes. It was originally made to prevent waste by using these leftovers. 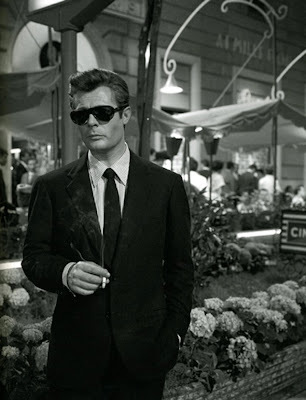 Anytime you drink grappa it makes you feel like Marcello Mastroianni in La Dolce Vita. In Italy, grappa is primarily served as a digestivo or after-dinner drink. Its main purpose is to aid in the digestion of heavy meals. Grappa may also be added to espresso coffee to create a caffè corretto, meaning "corrected coffee". Another variation of this is the ammazzacaffè ("coffee-killer"): the espresso is drunk first, followed by a few ounces of grappa served in its own glass. In Veneto, there is resentin ("little rinser"): after finishing a cup of espresso with sugar, a few drops of grappa are poured into the nearly empty cup, swirled and drunk down in one sip. Most grappa is clear, indicating it is an un-aged distillate, though some may retain very faint pigments from their original fruit pomace. Lately, aged grappas have become more common, and these take on a yellow, or red-brown hue from the barrels in which they are stored. "Historically a man’s drink, grappa owes its makeover chiefly to a woman, Giannola Nonino. Now in her 70s, she’s the marketing whiz behind the 114-year-old Nonino firm, which launched the first super-premium grappa in 1973," continued Crosariol. "Like a good chef, she understood that quality starts with fresh ingredients, even if you’re dealing with compost. Tapping top winemakers, she insisted on just-pressed pomace, not the gunk that would sit around for days." These final potentates were smooth and beautiful, if not still a bit high on the alcohol side. Make no mistake, grappa is still as strong as it gets out there. But some have beautiful flavors. There are six grappas in the Hudson Valley. Demarest Hill Winery & Distillery Grappa. 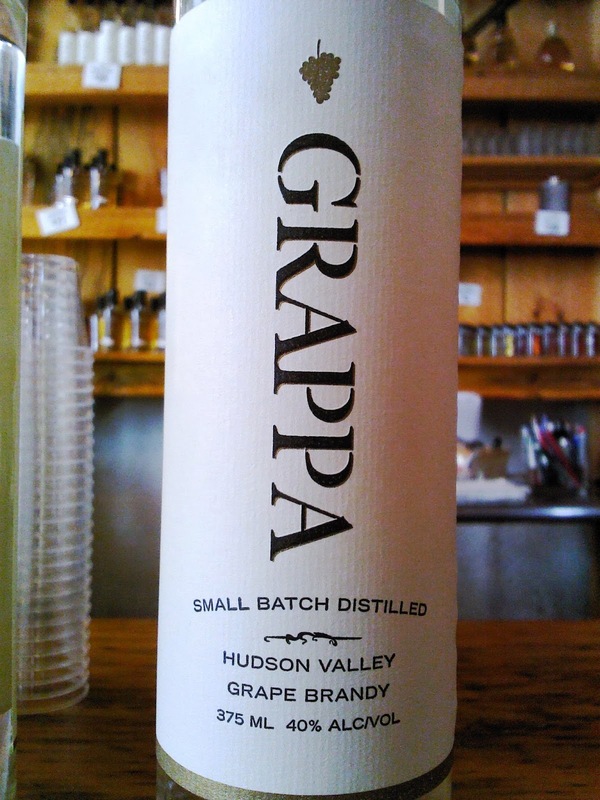 This is the granddaddy of all Hudson Valley (and New York state) grappas as far as I know. Francesco Ciummo the owner and winemaker there was the first to make grappa in the Hudson Valley (no question about it). I've been drinking it for more than a decade. Big, pronounced, and yet smooth, with a good burn, Demarest Hills Grappa has to be in any conversation about grappa in the Hudson Valley. According to Ciummo, "It's what the Italians drink to prove they're strong." It just scored an impressive Silver Medal at The International Eastern Wine Competition 2014, combined with the East Meets West Challenge to prove it's quality is still going strong. This grappa is the co-production between Harvest Spirits 9the producer) and Hudson-Chatham Winery. Harvest Spirits is the producer, with master distiller Derek Grout making this beautiful elixir. 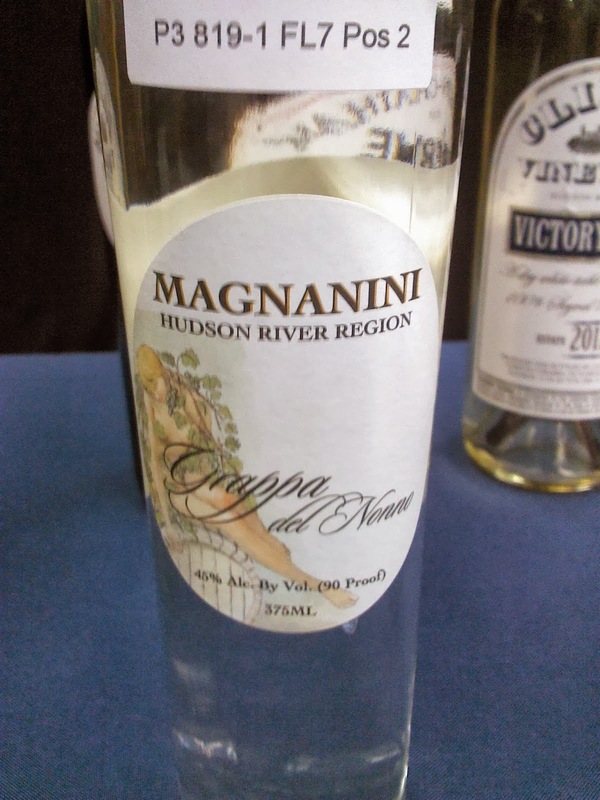 The grappa was distilled from the winemaker Steve Casscles pomace from Hudson-Chatham Winery just down the road. Big nose, and crystal clear, this grappa is a wonderful, big, ruddy grappa, with a lovely smooth finish. Hints of berry and licorice. Magnanini Grappa del Nonna I a beautiful grappa, smooth from start to finish. Easily one of the nicest grappas you'll ever try, and a lovely surprise from start to finish from lovely family vineyard and restaurant in the Hudson Valley. A truly Italian styled grappa like no other. Warwick Valley Grappa Grape Brandy comes form the original home of distilling in the Hudson Valley Owners Jason Grizzante and Jeremey Kidde have done a remarkable job making, branding, and selling fine spirits. Their grappa is a lovely, light, but powerful new spirit not long out in the marketplace. 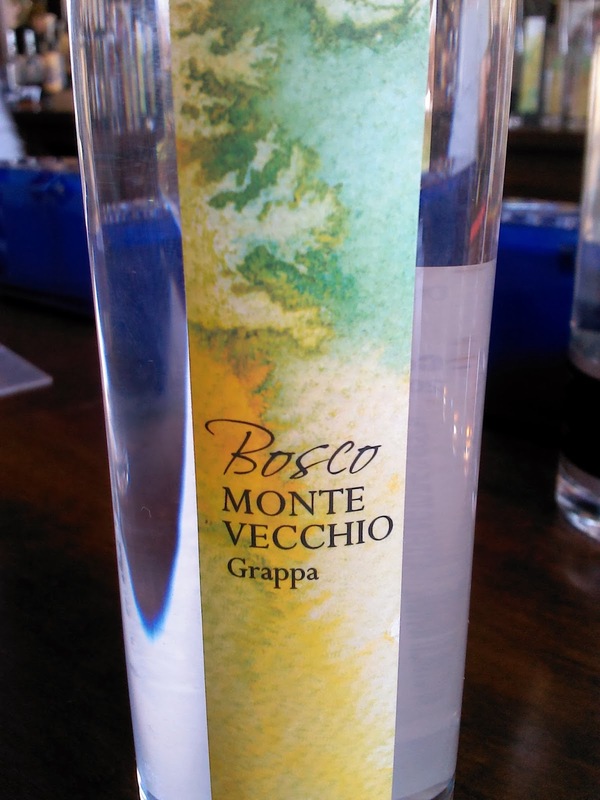 But as usual, Warwick Valley has done it right, and their grappa is already turning heads. Their grappas just won a double Gold medal at the recent Finger Lakes International Wine Competition. Joseph Messina, Amorici’s owner/winemaker uses his family’s heritage to make the unique and award-winning wines. The Messina history of winemaking dates back to early wine merchants on the small island of Ischia, in the Bay of Naples, Italy. This is co-produced between Joe's Amorici Farm Winery and Albany Distilling. Small batch distilled from a custom blend of Amorici select grape skins. Small production. Elegant. So, get a bottle of grappa, get some espresso, and put on your dark sunglasses, and live the good life....Italian style on the Hudson! Ed McCarthy Raves About New York Wine!